The Language of Film - Neue Wege des Lernens e. V.
Non-profit organisation 'Neue Wege des Lernens e. V.' supports schools in digital learning initiatives. This includes the production of digital learning assets and apps for educational use, particularly for non-STEM classes and subjects. We have a particularly strong commitment to supporting cultural Film Education with digital tools. 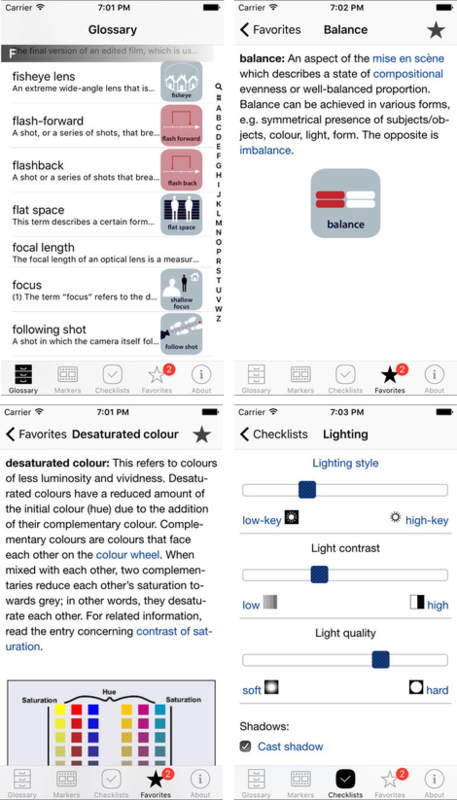 The App "Close-up" provides clear and concise definitions of essential film language terms used in basic and advanced film courses. Though geared for use in high school (particular sixth forms) and higher education the glossary is appropriate for anyone generally interested in cinema, film and film analysis. The Close-Up Film Language Glossary contains a unique collection of 'Visual markers', which are visualizations of filmic means and techniques. Groups of visual markers provide a quick and comprehensive overview of important categories of film language. Additionally, a collection of useful checklists helps you analyzing the different aspects of film language in classroom study or when writing a film studies essay.